Clayton Utz partner Luke Buchanan will be a speaker at Australasian Lawyer’s Contract Law Masterclass: He explains his background and passions. How long have you worked at Clayton Utz for and what brought you to your position? I have worked at Clayton Utz for 19 years (20 years, if you include one year at the beginning in which I worked on and off as a paralegal). I did my graduate rotations in the Banking & Finance and Litigation sections. I enjoyed both of them immensely and had difficulty deciding between the two for my permanent position. While trying to make that decision, I had a discussion with a more senior lawyer at the firm, who had done the same two rotations and ultimately settled in Litigation. He told me had chosen Litigation because there is always the chance in a matter to make new law - in most matters, it won't happen but in all matters, it just might. That resonated with me and about 18 years later, I am still in Litigation and that other lawyer is too! What do you think will be single biggest issue facing the legal landscape in Australia in 2015? Most Australian Courts have either implemented, or are looking to implement, measures designed to address the spiralling costs of litigation (which arise, in part, from parties seeking to rely upon an enormous amount of material in proceedings). Facilitating the "just, quick and cheap resolution of the real issues" is an ongoing challenge which requires the parties (and their lawyers) to work co-operatively with the Courts in identifying what those issues are and ensuring that "quick and cheap" do not come at the expense of "just". This is particularly the case in the area of class actions, including securities class actions. I once worked on a claim which arose out of a dispute that originally concerned a dress valued at $20 worn to a Year 10 school formal. By the time we got involved, the parties were in litigation in the Supreme Court and the relief claimed included aggravated damages in trespass. As you can probably appreciate, the legal costs far exceeded the value of the dress that was the subject of the original dispute. Fortunately, sanity prevailed and the case was ultimately settled. "You will not be lying on your death bed wishing you had spent more time at work, but you may be lying on your death bed wishing you had spent more time with family and friends". This is not say that hard work and long hours are never necessary. Clearly, they sometimes are and indeed, they can be very fulfilling. But I believe the key choices we make in life should be informed by our priorities and the aim of being able to look back at the end without having major regrets. Yes, I have played soccer since I was six years old. These days, it is only indoor soccer at lunchtimes once or twice during the working week when I can make it - but I still try to get there as often as work commitments allow. I also like body surfing, although I really only get to do that for a couple of weeks a year over the summer holidays. Aside from that, my wife and I have three young daughters and the shuffling between ballet concerts, tennis lessons, school band concerts, choir performances and a variety of other activities keeps me busy outside of work. Two things. First, the analytical nature of what we do - it is intellectually challenging but also very satisfying to work through complex issues and come up with an argument that is well-reasoned, logical and persuasive. Second, the people who I work with on a daily basis - I have been very fortunate over my career to date to have worked with many bright, inspiring, genuinely good people at my firm, at the Bar and within client organisations. I am very pleased to be able to say that I have made some lifelong friendships from among those people. 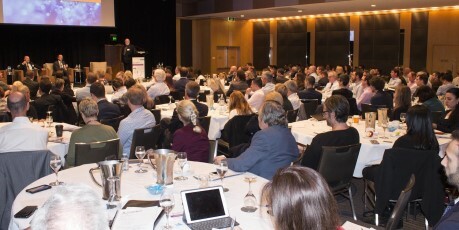 You are speaking at Australasian Lawyer’s Contract Law Masterclass in March. What will you be covering that every lawyer should know? I will be covering the when, why and how of contractual termination, including the operation of good faith in exercising an express right of termination, the rights of termination which may arise under the common law and the implications of a right to terminate being a right of election. Contracts are at the heart of business and at the centre of many commercial disputes and it is critical for contracting parties to understand the law applying to termination of contracts. The Contract Law Masterclass will be held in Sydney and Melbourne in March 2015. Find out more and register online here.